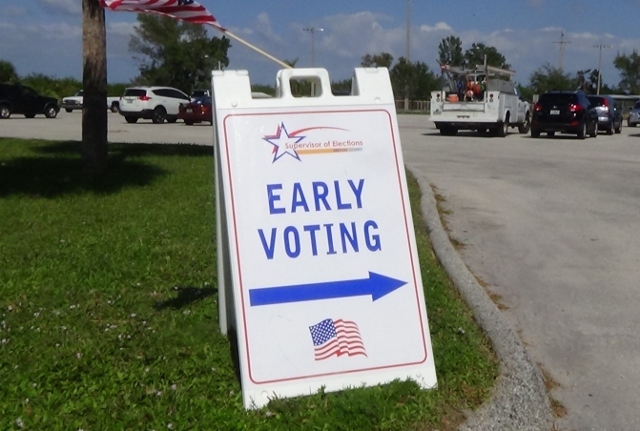 BREVARD COUNTY, Florida - Early voting started in Brevard County on Monday, October 24, 2016, and ends on Saturday, November 5, 2016. Nearly 88,000 votes have been cast in Brevard County as of 8:30 a.m. on Thursday, October 27, 2016. 56,498 of those votes were by mail and 31,278 votes were cast during early voting. Republicans are out-voting Democrats by a 4 to 3 rate in Brevard County. Republicans have cast 41,706 votes versus 30,201 Democrats. Independents, minor parties, and no party affiliation voters have collectively cast 15,878 votes. You must be a registered voter on or before October 18, 2016 to participate in this election.